In the 3rd ATP World Tour final, Borna Coric will try to get his first career title at the cost of the German Philipp Kohlschreiber. Both of the players are impressive and in full fitness now. 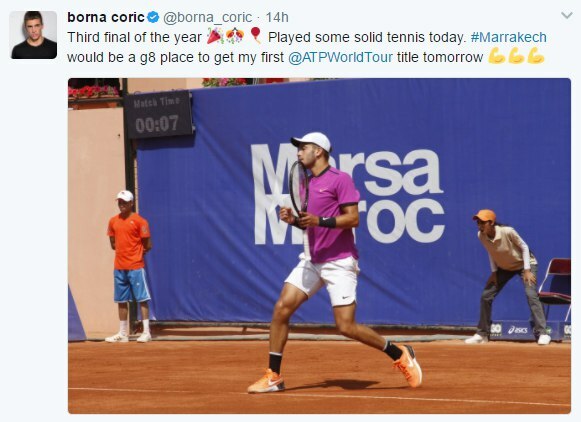 As for their routes to the final, Coric has played more matches and twice was on the edge of defeat. Philipp Kohlschreiber has experienced only one tough battle. The German is very capable in attacks and the 20-year-old will have to come up with the effective defense. The Croat knows how to play from the back of the Croat, but it will be more challenging against the wildcard Reda El Amrani or Albert Ramos-Vinolas in the quarters. To unseat the more experienced German veteran, the rising Croat will have to show the high speed of play and turn into attacks. We don’t expect that Coric will survive the battle due to his own errors. Betting pick: We lean on Kohlschreiber’s side -3.5 at 1.9.